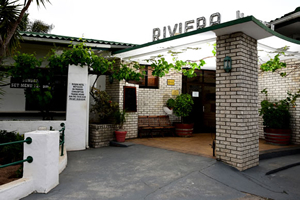 The Riviera Hotel & Chalets are situated on the banks of the Berg River, overlooking the wetland and abundant bird life. The hotel has 10 en suite single and double rooms each with their own private patio. The chalets consist of 8 x two bedroom and 2 x one bedroom units. The Pont a la carte restaurant is situated in the hotel. Snoek, perlemoen and crayfish is amongst the specialities that can be enjoyed at your hearts delight. The hotel has two conference venues. The hall is suitable for a bigger group, between 50 - 150 delegates, 150 being cinema style. The second venue, The Foc’sle is perfect for a smaller group from 30 - 40 delegates. Equipment: Overhead screen, flipcharts, Proxima, aircon in the hall, not in the Foc’sle. Select your option by “clicking” adjacent to your selected option. Once selected, a new form will open for you to further complete.